I’m still thinking about my path to craftiness. I talked a lot about my grandmothers and their handwork in the Part 1 post of this series. I do think they were hugely influential, but more in an indirect way rather than a direct way. It’s not like I sat down with either Grandma or Nanny to get lessons in crocheting, quilting, or sewing. I think it was more about living with unique handmade things. As an adult, I now have a deep appreciation for handmade items, and I have number of items in my home that were made by family members. Small quilt Mom made for my baby dolls when I was little. I played with this alot. But in the end I preferred legos & matchbox cars over dolls. In the mid-1970s, when I was around 6 or 7, I attended a daycamp at a nearby museum and we did all kinds of activities related to Appalachian heritage. We churned butter from cream, and we made our own candles. I don’t remember any fiber related activities (oddly!) though I’m betting we did something simple. I’m pretty sure that our activities at camp were partially inspired by the amazing Foxfire series of books first published in the early 70s. For those of you unaware, Foxfire was a magazine produced by high school students in southern Appalachia, as part of their English class. They conducted interviews with grandparents and elders in the community in order to preserve some of the ways of life and traditions. There are “how tos” for all kinds of things, like building a log cabin, making moonshine, churning butter, and caning a chair. 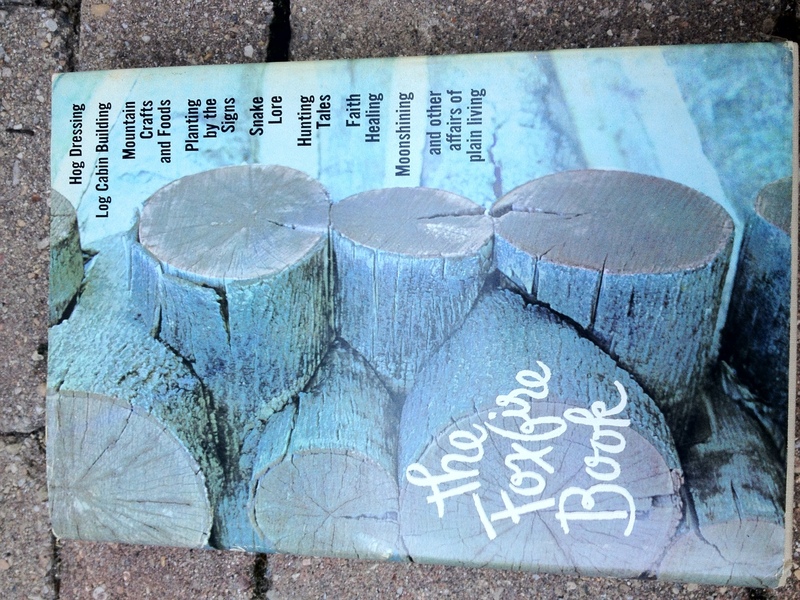 When I was home recently, Mom gave me her copy of the first Foxfire book (a compilation of several magazine articles) and I recently bought Foxfire 2 at a used bookstore because there is a long section on wool, spinning, and weaving (including drawings of how to make a loom!). The Foxfire Book (the first one) has a chapter called “A Quilt is Something Human” that details many traditional quilting patterns. But more interesting was the description of how the community was involved in putting the quilt together. There were quilting bees, yes, but families also donated scraps of fabric when someone was piecing a quilt for a new baby. I love reading about my crafting heritage, and I can’t help but think it set the stage for my current day craftiness. 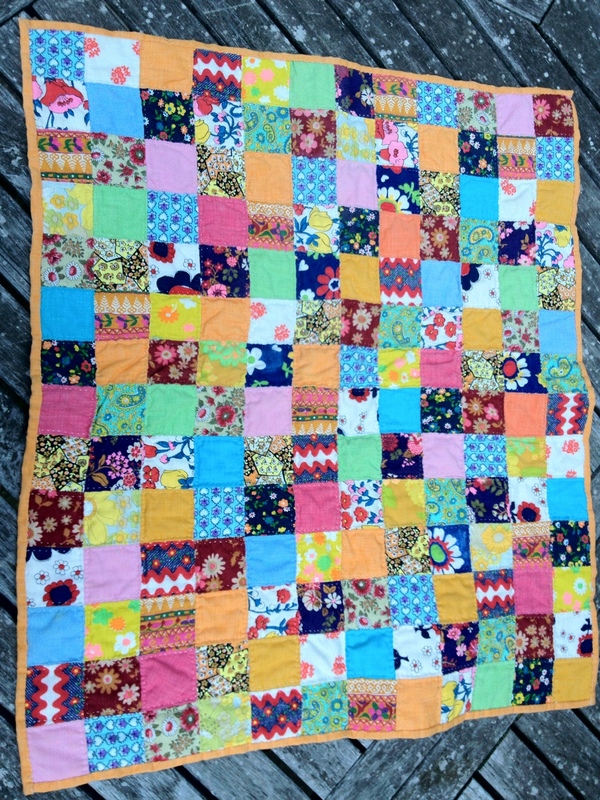 ← I have no ambitions to quilt….